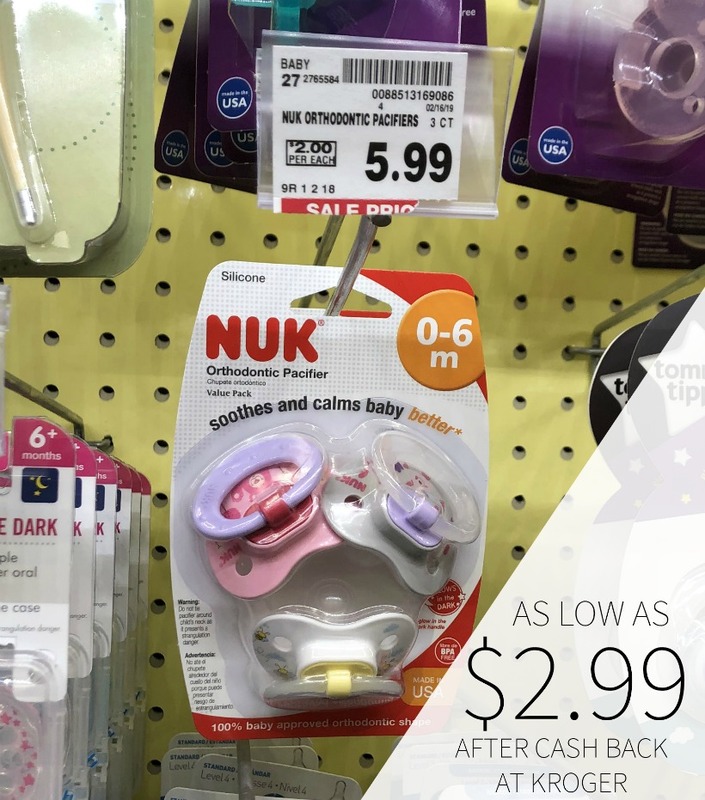 Head to Kroger this week and grab a great discount on Nuk Pacifiers. After cash back, you can grab a 3 pack for as low as $3.99…that’s just $1.33 per pacifier. As low as $3.99 after cash back.